Botanique Florists Gold Coast Flower Delivery Service Details. Orders placed online, outside normal trading hours, will be processed and delivered the next business day. No delivery on Sunday or public holidays unless prior arrangement has been made directly with the studio, phone +61 7 55737666. Deliveries can be anytime between 9.00AM and 6.00PM, Mon-Sat. Specific time drops or out of hours deliveries may incur extra charges. We endeavour to meet your preferred time allocation; however we cannot guarantee this without a priority delivery fee. Provide us with a suitable contact telephone number or instructions on where to leave the flowers should there be no one at home. Delivery that has been attempted and could not be left at the address, may incur an extra delivery fee. Reasons for non delivery could either be due to an incorrect address, no easy access to the property or the recipient not being home and there being no safe place to leave the flowers. Express flower and gift delivery during normal trading hours. For 3 hour turn around or point to point time specific deliveries with less than a 3 hour delivery window, deliveries are calculated at $34.95 each address. Use this delivery option for: time specific flower deliveries and deliveries to weddings, events, functions or for other special occasions. Send Christmas flowers and gifts from your local Gold Coast Florists, Botanique Florists Gold Coast we offer guaranteed same day flower delivery for orders placed and processed by 10.30am on Thursday 24th December 2015. Orders placed online, outside normal trading hours, will be processed and delivered the next business day Monday 28th December 2015. No delivery service on 25th (Christmas Day) and 26th (Boxing Day) unless prior arrangement has been made directly with the studio, phone +61 7 55737666. Our florist store is open between Christmas and New Year to ONLINE ORDERS ONLY, we have a skeleton staff attending the web site and checking emails and orders at 10AM and 5PM daily. The retail studio and telephone at our Helensvale store will be unattended. Contact Us via email. All flower arrangements are subject to availability and some flowers may be substituted due to minimal flower options available during this time. If you are after specific flowers or colours please leave in the "comments" section of your order and we will do our best or contact you with available options. Orders placed outside normal trading hours will be processed and delivered the next business day. Gold Coast delivery service is available for ONLINE ORDERS ONLY from Monday 28th December through to Saturday the 2nd January, this excludes the days listed below. We will be back to normal trading hours as of Monday the 4th of January 2016. Open Easter Saturday for delivery and pick up 9AM - 12.00PM. CLOSED Good Friday, Easter Sunday and Easter Monday. CLOSED ANZAC DAY 25 April. Normal trading hours either side of ANZAC day. Open Mothers Day Sunday 10th May 2015 for delivery and pick up from 7.00AM - 3.00PM. Order online for delivery. Click here to view MOTHER'S DAY FLOWER DELIVERY. Send Fathers Day gifts from your local Gold Coast Florists, Botanique flowers we offer same day flower delivery for orders placed and processed by 12.30AM EST Saturday. Orders placed online, outside normal trading hours, will be processed and delivered the next business day Monday 6st September. No delivery service on Sunday unless prior arrangement has been made directly with the studio, phone +61 7 55737666. Valentines day delivery is Saturday 14th February 2013. Standard deliveries on Valentines Day will be any time between the hours of 7am and 7pm. 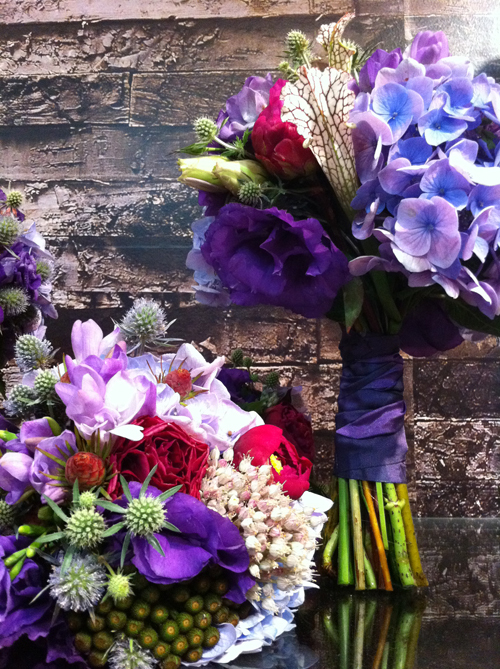 Botanique Florists Gold Coast cannot guarantee time specific delivery on Valentines Day, please provide us with a contact telephone and home address if it is for a business delivery. Before ordering online, please contact our studio for verbal confirmation on +61 7 5573 7666. Only orders placed before 11AM Friday the 14th Feb will be gauranteed for same day delivery. All orders placed after this time will be attempted but are not gauranteed for Valentines Day Delivery and will therefore be delivered on the next sales day. Order BEFORE 2:00 PM Monday to Friday and 10:30AM Saturday: Arundel, Boykambil, Coomera, Coomera Marina Precinct/Gold Coast City Marina, Gaven, Helensvale, Hope Island, Maudsland, Monterey Keys, Oxenford, Oyster Cove, Pacific Pines, Park Lake, River Downs, Sanctuary Cove, Santa Barbara, Studio Village, The Shores, Upper Coomera, WESTFIELD Helensvale. Order BEFORE 2 PM Monday to Friday, 10:00 AM Saturday: Allamanda hospital, Andrews, Ashmore, Benowa, Biggera Waters, Broadbeach, Bundall, Burleigh Town, Burleigh Heads, Burleigh Waters, Carrara, Chevron Island, Chirn Park, Clear Island Waters, Coombabah, Ernest, Ephraim Island, Florida Gardens, Gold Coast hospital, Gold Coast University Hospital, Harbour Town Shopping Centre, Hollywell, Isle of Capri, Labrador, Main Beach, Mermaid Beach, Mermaid Waters, Merrimac, Miami, Molendinar, Mudgeeraba, Musgrave Hill, Nerang, Nobby Beach, Pacific Private hospital, Paradise Island, Paradise Point, Parkwood, Pindarra hospital, Robina, Robina hospital, Runaway Bay, Sovereign Islands, Sorrento, Southport, Southport hospital, Stephens, Surfers Paradise, Varsity, Varsity Lakes, Varsity Waters. Extra delivery fees may apply to these areas, please choose the relevant postcode in the checkout or request a quote via Contact Us, or telephone+61-0-755737666. Order BEFORE 11AM Monday to Friday, Not Saturday: Advance Town, Banora Point, Beenleigh, Bilambil Hts, Bilinga, Bonogin, Coolangatta, Coomera Waters, Currumbin, Currumbin Valley, Currumbin Waters, Eagleby, Eagle Heights, Elanora, Gilston, Gilberton, Guanaba, Jacobs Well, Kingsholme, Kirra, Maudsland, Mt Nathan, Mt Tamborine, North Tamborine, Ormeau, Pimpama, Reedy Creek, Tallai, Tallebudgera, Tugun, Tweed Heads, Willowvale, Worongary, Wongawallan, Yatala. All designs illustrated are a guide to the style of flowers, gourmet foods and gifts that will be delivered. Occasionally they may vary according to regional or seasonal availability, or when they do not meet Botanique Florist Gold Coast quality standards. It may not be suitable to send some arrangements to tropical areas. In some cases, substitutes of a similar value may be necessary to meet your requirements. Some flowers may be delivered 'in bud' to provide longer enjoyment. You and your recipient must be 18 years or older to order or receive alcoholic beverages. Other conditions may apply in some States. Sunday & Public Holiday delivery is not guaranteed. Please check directly with us before placing an order for delivery on Sunday. Sunday deliveries of interstate orders are restricted to participating florists. In the event your order is not what you expected, please return the unsatisfactory item to our studio within 24hrs and we will provide you with a 'no questions asked' full replacement. For interstate and international orders, please contact us within 24hrs and we will follow up the complaint with the sending florist. This is an SSL secure web site.